The labyrinthine legal wrangling is finally over. Maurizio Sarri is Chelsea’s new manager. The Italian replaces fellow countryman Antonio Conte, who only officially vacated his post (too almost zero fanfare) on Friday morning despite seemingly having had both feet out of the door at Stamford Bridge for weeks on end. 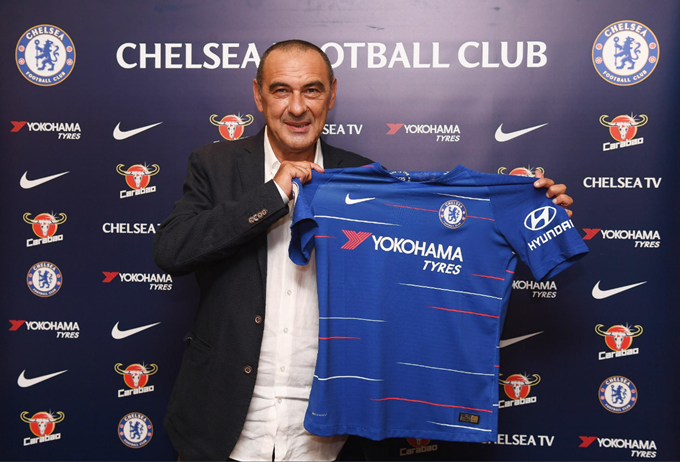 Sarri has signed a three-year deal with the Blues. The 59-year-old has a penchant for fast, cut-and-thrust attacking football, which the Blues are no doubt hoping will bring about a reversal in the declining league form, which grew stagnant during the latter days of Conte’s reign. However, it would appear that Sarri’s first call of duty will be to convince Eden Hazard to stick around, with talk that the Belgian is once again entertaining the thought of defecting to Real Madrid, especially since the Spanish giants suddenly have the space and spending power to add a star-name forward to their number. It’s also being reported that Sarri is keen to make Gonzalo Higuain his first signing for Chelsea, with Alvaro Morata perhaps involved in any deal to bring the Juventus striker to the Premier League. Stay tuned. The window is wicking away, Chelsea have ground to make up on the pack after leaving it late to bag themselves a head coach, so things might be about to get interesting in a ‘flurry of activity’ kind of way. Two questions, as a Chelsea supporter. Why did this Neapolitan local boy leave THE club of his town in the middle of great things? Will Chelsea make accommodations for his smoking? That would be fantastic.